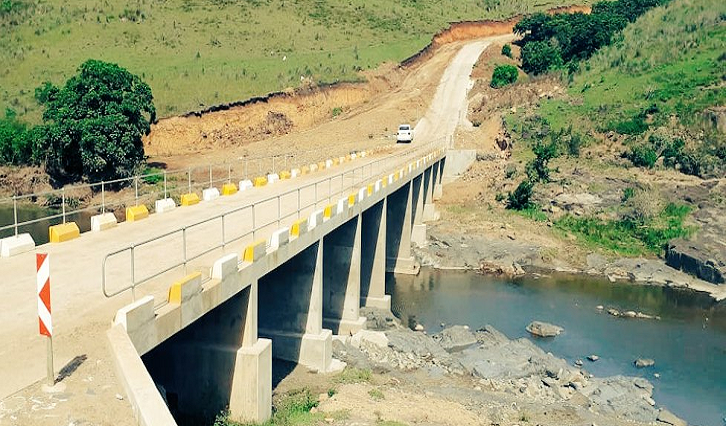 A new bridge will bring much-need support to Mpame village residents in the Eastern Cape. It will link many villages near Elliotdale. Villagers have been struggling to access government services for years. The multimillion bridge will see an end to villagers crossing the river. Children have been forced to cross overflowing waters to access health and schools. “What it does it actually it stops children from going to school , it stops the movement of normal transport and quite often when people are sick they cannot get to the hospitals. In some instances some women had to deliver on the banks of the river and this has been an embarrassing situation when men had to lift ladies who crossed the river and sometimes for weeks children cannot go to school,” says COGTA minister, Dr Zweli Mkhize. There was also a pledge to invest more in rural infrastructure development. “Yes we have embarked on a programme to build bridges. The support from National Department, from COGTA, National Defense Force, we are engaging a multifold efforts to make sure that we address this matter. We are very pleased, very happy to join this community here in this life changing experience, that they will now have the bridge here,” says Eastern Cape premier, Phumullo Massualle. The Eastern Cape is populated with many rural schools that sometimes can only be accessed by crossing rivers. The post New bridge to bring relief to E Cape residents appeared first on SABC News – Breaking news, special reports, world, business, sport coverage of all South African current events. Africa's news leader..